We’re not all natural-techies or computer-literate types that can easily grasp the fundamentals of running websites. It can be intimidating for many of us in figuring out how things work in the online world. 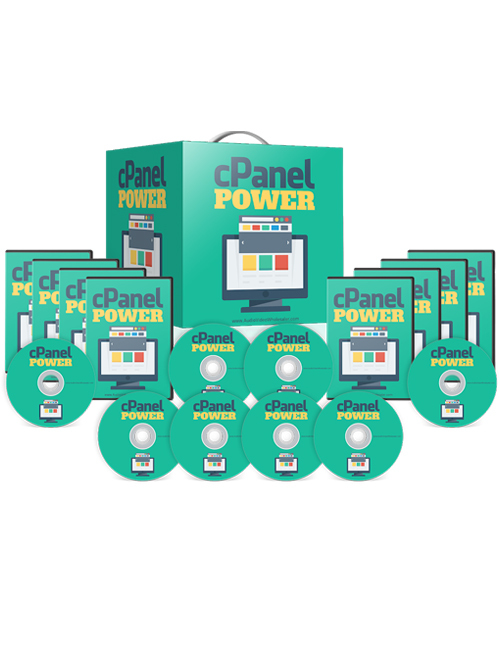 So to make it easy, this cPanel Power package will take you through the process and answer your questions in great detail through a 9 part video instructional course which will help take your knowledge, your skills and your business to another level. There are so many powerful features in cPanel that go unused. You may wonder how you can protect your content and email, how to install WordPress in a very simple manner, how to build a MySQL database, how to use Awstats, how you can access file manager, etc. It’s all covered in this extensive course. Across these 9 videos, you’ll be introduced to the full power and capabilities of cPanel. On top of learning how to create databases and using Awstats, you’ll learn how to use Softaculous, how to set up error pages and redirects, how to authenticate your emails, how to backup and restore your website and much more. Step by step video instruction is proven to help people learn faster and more efficiently which is why this course is a definite must-grab if you really want to learn about the power of cPanel. Get it now.